HIGH TRAFFIC EXPOSURE Fully renovated multi level office building for lease in St Catherine's exciting new redevelopment area. Formerly The Bank of Nova Scotia, this timeless classic is well suited for Wealth Management, Law Firms, Accountants, Real Estate Brokerages, Insurance Companies, Retail, Spa or Cafe. Conveniently located just down the street from Johnny Rocco's development, The Pen Center, The Keg, and Mountain Locks Plaza, equipped with a private parking lot for 15 vehicles. 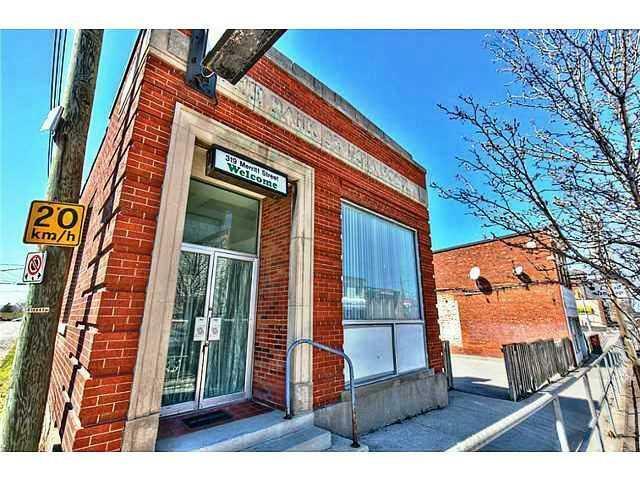 Featuring: 3 Washrooms - Multiple Large Windows providing lots of Natural Light - Pre-wired for High Speed Fiber Internet - Kitchenette with Lunch Area - Tyco Security System - Climate controlled, Call for more information or a tour of the building. Want to learn more about 319 Merritt Street? I would like to learn more about 319 Merritt Street.